Mickey and the gang take to the streets in this interactive game from the House of Mouse lineup. 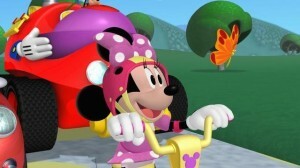 Who doesn’t love Mickey Mouse?? Directions and gameplay are easy and fun for all ages. – None; this game is incredibly universal. If you thought Disney hasn’t done enough to corner the market on hugely popular apps, then this is the game to change your mind. 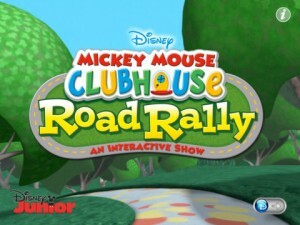 Technically referred to as an “appisode”, Mickey Mouse Clubhouse Road Rally is so thoroughly interactive that it might become your child’s new best friend. 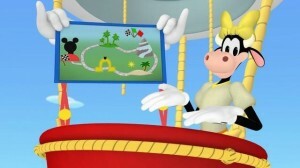 An actual episode of the Disney Jr. show is the framework for several activities that require tapping, swiping, tilting the iPad, and verbally responding to cues from Mickey and his friends. I had to navigate through a course that was displayed by tapping my next destination. There were obstacles along the way that also required some attention, like the mountain of rubber duckies that blocked my path. I yelled out “Stop!” and “Go!” at corresponding red and green flag drops, and rescued the spirited chipmunk duo Chip & Dale. It was almost as if I was in the episode myself, and could change the outcome and storyline each time I played. My 2-year-old loves Mickey Mouse Clubhouse and was really tickled by the idea that she could yell at the iPad and it would respond accordingly. I had to gently remind her several times throughout the rest of the day that the other games she played didn’t require screaming. My 4-year-old son quickly learned how to whiz through the appisode, and became bored way too soon; granted, he’s not a huge Clubhouse fan. One small warning: There are some actions that required you to shake or pick up and tilt the iPad. Parents will want to help younger players with this to avoid any inadvertent damage from smaller hands. 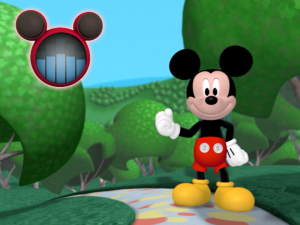 This app is another Disney home run, and the cost (FREE!) makes it an easy choice for your Mickey-loving family members.